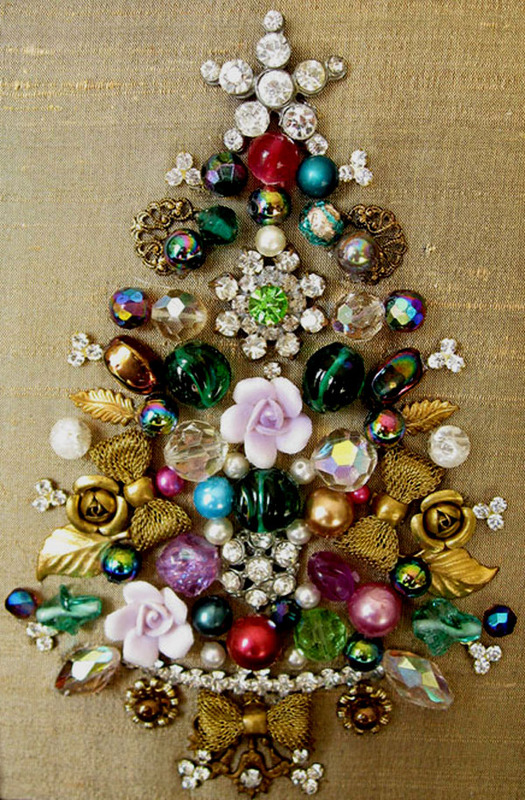 Framed Christmas Tree fashioned from vintage findings, beads, Rhinestones, brooches and Crystals. Frame (new) measures 7 3/4 x 9 7/8 outer, and 4 x 6 inner. 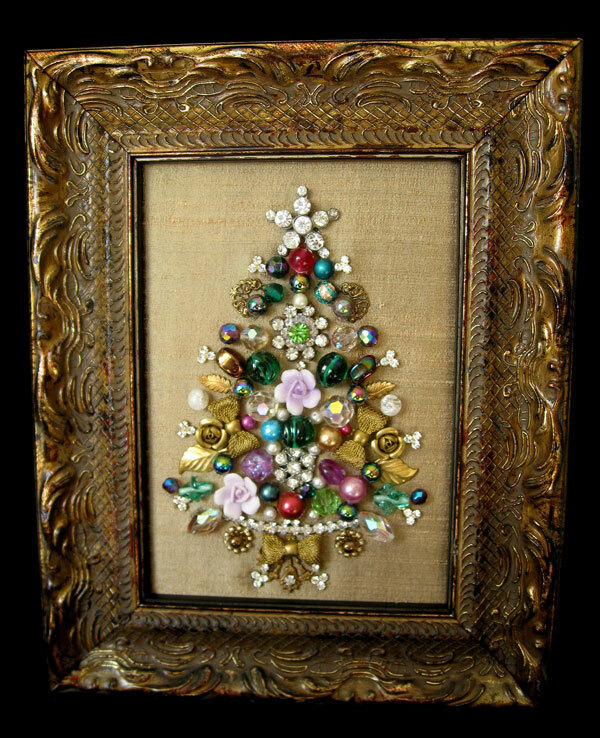 Fabric is hand loomed gold Silk Dupioni.